On this page, you'll find previous proposals aimed at finding new, fresh ways to help students in the pursuit of higher education. In addition, legislation that expands student eligibility for federal aid can be found on this page. NASFAA Analysis & Coverage: The bill would eliminate the FAFSA in favor of a 2-question postcard, move to a 1 grant/1 loan program, reinstate year-round Pell, provide authority to limit loans, among several other changes. NASFAA Analysis & Coverage: This comprehensive children's health and education legislation includes a college affordability component. This component includes provisions relating to federal and private loan refinancing, the discharge of student loans in bankruptcy, entrance counseling, and a college affordability grant program. 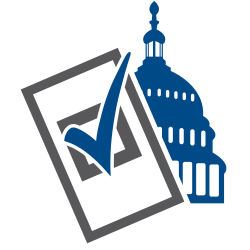 NASFAA Analysis & Coverage: This piece of legislation authorizes states to create an alternative, state-run process for accreditation with the approval of the U.S. Secretary of Education. Programs authorized and accredited by states would be eligible for Title IV funds. NASFAA Analysis & Coverage: This bill creates a grant program to encourage states to provide in-state tuition to undocumented students. NASFAA Analysis & Coverage: This piece of legislation would allow undocumented students to receive federal student aid. NASFAA Analysis & Coverage: This piece of legislation would permit high school students to receive Pell Grant funds for completing college coursework while in high school, such as through dual enrollment programs. NASFAA Analysis & Coverage: The bill would create a pilot program at 10 institutions to increase the use and development of openly available digital course materials. NASFAA Analysis & Coverage: The comprehensive legislation would create a grant program to states to eliminate tuition at public 4-year colleges and universities. The bill would cut interest rates and impose a cap of 8.25% and allow borrowers to refinance loans at the current interest rates. The bill would also expand Federal Work Study (FWS) and create a pilot program to assess the need to complete the FAFSA annually. The budgetary offset comes from imposing certain taxes and fees on stocks, bonds, and derivatives. NASFAA Analysis & Coverage: This measure exempts colleges and universities from antitrust litigation when institutions collaborate on need-blind admissions practices. NASFAA Analysis & Coverage: The America’s College Promise Act would provide free tuition at community colleges for a student’s first two years (part of President Obama’s college access proposal) and a tuition reduction for low-income students in their first two years at minority-serving institutions. NASFAA Analysis & Coverage: This bill establishes experimental programs for the use of federal grants and loans for accelerated degree completion, dual enrollment, competency based learning, and prior learning models. The bill would also create a regulatory task force to identify burdensome federal regulations. NASFAA Analysis & Coverage: This legislation works to establish the legal and tax framework for income-sharing models. NASFAA Analysis & Coverage: This measure would exclude a misdemeanor charge for possession of marijuana from its current classification as a “drug-related offense” for the purposes of student eligibility for federal financial aid. NASFAA Analysis & Coverage: This piece of legislation would impose an across-the-board 35 percent increase to the income protection allowance (IPA) for students in Federal Methodology (FM). NASFAA Analysis & Coverage: In addition to providing grants to students who commit to pursue rural education as a career path, this bill would provide loan forgiveness up to $17,500 to teachers who teach in rural schools for a minimum of 5 years. NASFAA Analysis & Coverage: This bill establishes a new federal-state grant program for public institutions and addresses several tax issues. The bill makes the American Opportunity Tax Credit permanent, doubles the maximum amount of tax-free employer educational assistance and makes the employee’s spouse and dependents also eligible for the benefit, and excludes Pell Grants and certain loan forgiveness and loan repayments from income tax. NASFAA Analysis & Coverage: This bill seeks to resolve a number of issues that continue to pose barriers to higher education for unaccompanied youths who are either homeless or self-supporting and at risk of homelessness. NASFAA Analysis & Coverage: The bill repeals the provision of the Higher Education Act that asks applicants for federal financial aid to indicate if they have been convicted of a drug offense. NASFAA Analysis & Coverage: This bill would allow institutions to receive two types of Minority Serving Institution (MSI) grants in Title III and Title V of the Higher Education Act concurrently. Under current law, institutions can only receive one MSI grant. NASFAA Analysis & Coverage: This bill would restore federal student aid eligibility for students without a high school diploma or equivalent. Eligibility for these students ended in 2012. NASFAA Analysis & Coverage: This bill would restore the National Science and Mathematics Access to Retain Talent (SMART) Grant Program, which expired in 2011. NASFAA Analysis & Coverage: This bill would create a pilot program that establishes "higher education savings accounts" for ninth and tenth grade students who participate in the free/reduced lunch program based on the current Pell Grant maximum award amount. NASFAA Analysis & Coverage: This bill makes less than half-time students eligible for Direct Loans if they are enrolled in at least 3 credits and have been employed in a full time position for at least 10 years prior to enrolling. The annual limit would be $3,500. NASFAA Analysis & Coverage: This bill would authorize the Department of Education to award grants to institutions of higher education to support and/or develop dual enrollment programs. NASFAA Analysis & Coverage: This bill would reauthorize the Child Care Access Means Parents in School (CCAMPIS) program in the Higher Education Act that supports low-income parents by providing competitive grants to institutions to establish or support campus-based childcare programs. NASFAA Analysis & Coverage: The In the Red Act would simply combine some of the higher education legislation introduced in the Senate in 2015 by Democrats - including the America’s College Promise Act, which would make two years of community college and the first two years at HBCUs and MSIs tuition free; the Bank on Students Emergency Loan Refinancing Act, which allows borrowers to refinance their loans; and the Pell Grant Cost of Tuition Adjustment Act, which would increase the Pell Grant maximum award to $9,139, indexed annually to inflation -- into one package. The bill also includes language calling for enhanced accountability for institutions, but does not include legislative language to implement any sort of accountability system. NASFAA Analysis & Coverage: This bill would create a new $250 million per year grant program to promote innovation at Historically Black Colleges and Universities (HBCUs). The grants would seek to address access, achievement, completion, and outcomes; increase STEM enrollment; focus on finding cost-savings; and expand the use of technology. NASFAA Analysis & Coverage: The bill would allow applicants to provide a social security number or a Taxpayer Identification Number (TIN) in order to receive a Personal Identification Number to use on the FAFSA. The change aims to ensure that mixed-status immigrant families are not prevented from accessing eligible financial aid. NASFAA Analysis & Coverage: This bill would prohibit discrimination against undocumented students who apply to public universities and would otherwise qualify for acceptance. NASFAA Analysis & Coverage: This measure would increase the flexibility in current law to allow HSIs to use funds for mentoring, advising, or other student support services to encourage post-baccalaureate students to enroll in doctoral degree programs that prepare students for health care occupations. The bill would also provide grants to HSIs for the purpose of developing or growing dual enrollment programs. NASFAA Analysis & Coverage: This bill aims to improve the HBCU Capital Financing Program by requiring an advisory board to send an annual report to Congress with an overview of the programs and administrative and legislative recommendations. The bill also allows for financial counseling to potentially eligible HBCUs to assist them before and after applying for a capital improvement loan. NASFAA Analysis & Coverage: This bill would extend eligibility for Department of Education grants for computer coding programs, such as "coding boot camps," offered in partnership between institutions of higher education and nontraditional provides. Authorized grant uses include supporting access for low-income students to these programs. NASFAA Analysis & Coverage: This bill would establish scholarships, loan forgiveness plans, and training programs for educators who commit to teaching in Native American or Bureau of Indian Education (BIE) schools. The bill would create three scholarship programs, including two for Indian students seeking undergraduate or graduate degrees, and one for students seeking undergraduate degrees, for students who commit to teaching in a BIE school for at least three years. To receive loan forgiveness, students must teach for at least five consecutive years. The bill also provides grants for institutions of higher education looking to develop training programs for Native American immersion and language teachers. NASFAA Analysis & Coverage: This bill would create federal and state higher education financing partnerships. States that contribute an amount equal to at least 50 percent of the maximum Pell Grant award for each FTE student to their public institutions of higher education can qualify for a grant matching the state’s contribution. These grants must be used by public institutions in order to directly reduce or mitigate an increase in tuition costs for in-state students, support the enrollment of low-income students, and support retention and degree completion of low-income students. Additionally, states would be required to provide assistance for any unmet financial need for students with an income at or below 350 percent of the poverty line. States will not be allowed to raise tuition for in-state students immediately after receiving a grant, but will be allowed to seek a waiver in extenuating circumstances or raise tuition based on inflation. NASFAA Analysis & Coverage: This bill would allow students convicted of marijuana possession to retain eligibility for six months on the condition they complete an approved drug rehabilitation program and two unannounced drug tests, instead of immediately losing eligibility until the completion of rehabilitation as it stands now.